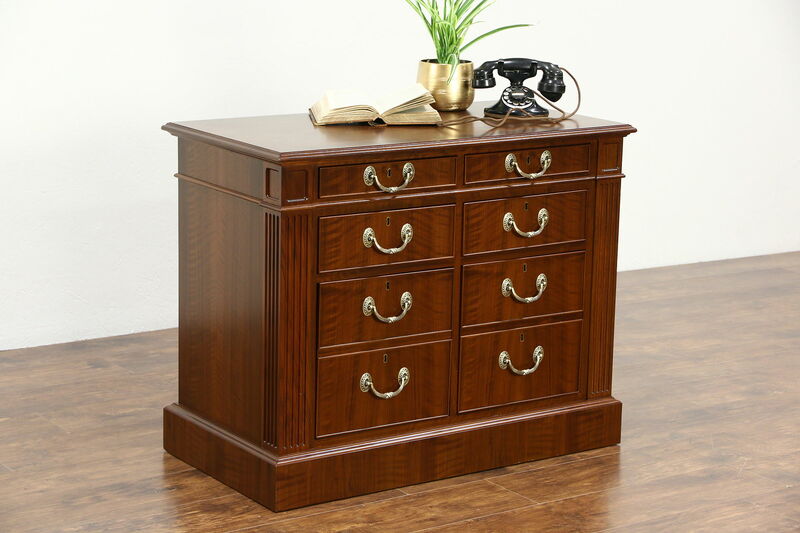 A superior quality lateral file with six drawers was custom made for the executive suite of Northwestern Mutual Life Insurance of Milwaukee about 35 years ago. The superb renewed finish is in excellent condition on richly figured walnut with matched burl panels and a banded top. Drawers have solid oak dovetailed sides, finished interiors and heavy embossed brass pulls. Corners have fluted classical moldings and there are two hanging file drawers. Dimensions are 38 1/2" wide, 20 1/2" deep and 30" tall.